Logic has acquired a reputation for difficulty, perhaps because many of the approaches adopted have been more suitable for mathematicians than computer scientists. 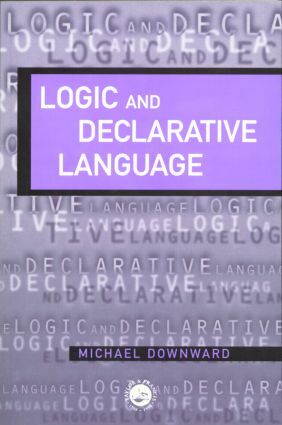 This book shows that the subject is not inherently difficult and that the connections between logic and declarative language are straightforward. Many exercises have been included in the hope that these will lead to a much greater confidence in manual proofs, therefore leading to a greater confidence in automated proofs.